Pretty good size for a child 10 years old or younger. My daughter is 12 but she doesn’t take care of her things. 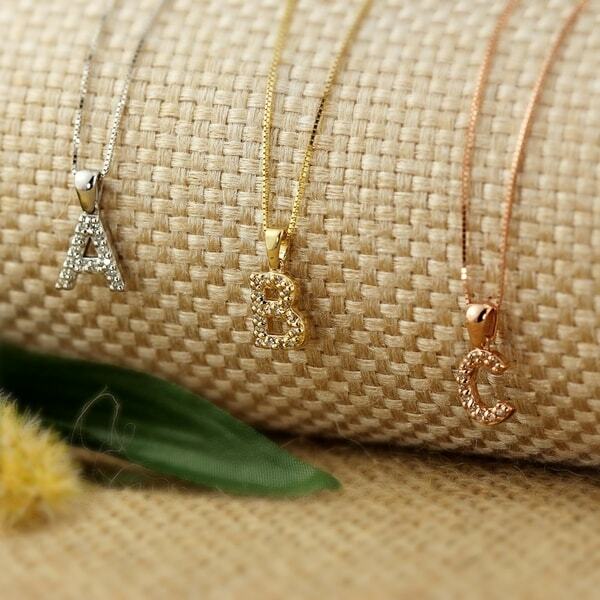 Diamond Initial Necklace by Auriya features a high polished 14k Gold pendant in each letter of the alphabet encrusted in shimmering starlight white accent diamonds totaling 1/10ct TDW creating a sentimental touch and a whole lot of sparkle and fire to your wardrobe. The pendant is suspended from a delicate adjustable 16 to 18-Inch box chain that securely fastens with a classic spring ring clasp. Available in your choice of 14k Yellow Gold, White Gold or Rose Gold that shines bright in a high polish finish. This dazzling diamond pendant is versatile enough to be worn from day to night, looks beautiful layered with other necklaces adding sparkle or a pop in color and makes the perfect gift for any occasion. Dimensions 0.33 In. X 0.56 In. I ordered the Auriya 14k Gold 1/10ct TDW Diamond Initital Necklace in white gold and it arrived pretty quickly, it was very pretty but I choose to return because it is smaller then I had anticipated. Bought this as a gift for my daughter's 14th birthday at the end of June, she has since only worn it a hand full of times. Unfortunately you can see in the photo where the chain broke & the charm was lost in a grass field. She was devastated. I am upset that the chain was so poorly made for a moderate item. No it wasn't a thousand dollar piece but the chain itself was a higher quality as was the clasp. If I were you in would examine closely. The only reason I gave it 2 stars because the charm was beautiful for the short time we had it. I now have a $200 broken chain and a very sad 14 year old girl. I am disappointed by this necklace for how much it costs. 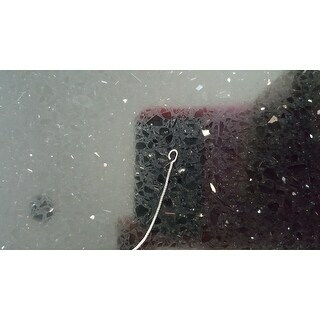 the pendant is extremely small, and the color is completely different than shown in here. I bought a Y and it looks like a key pendant because it's so small people cant tell what it is. the only good thing is that the chain itself is not that thin. The initial with the diamonds really captures people's attention. What a conversation piece......great deal. This is a go to for future gifts!!! I purchased this necklace for a friend to be worn as an everyday piece of jewelry. It is beautiful and sparkly but subtle enough to be worn casually as well as with formal wear. This charm is much larger than I expected. I was hoping for something small and dainty. And, the quality of the chain was cheap. A thicker, higher quality necklace and a smaller charm was what I was hoping for. Ended up sending this back for a refund. Beyond satisfied with this item. I have bought countless things on Overstock, and I have yet to be disappointed. Good quality items, great customer service, and a huge selection. I am a happy customer! "What is the size of the pendant?" Wanted to get a necklace for myself with my son's first initial. Will post my feedback once I receive the item. E is the first initial of my daughters name. This will be a mothers day gift from her.